All too often fire departments are run by a chief who thinks they are the most important person in the department. They make all the rules, hire and fire, and are in charge of the budget. 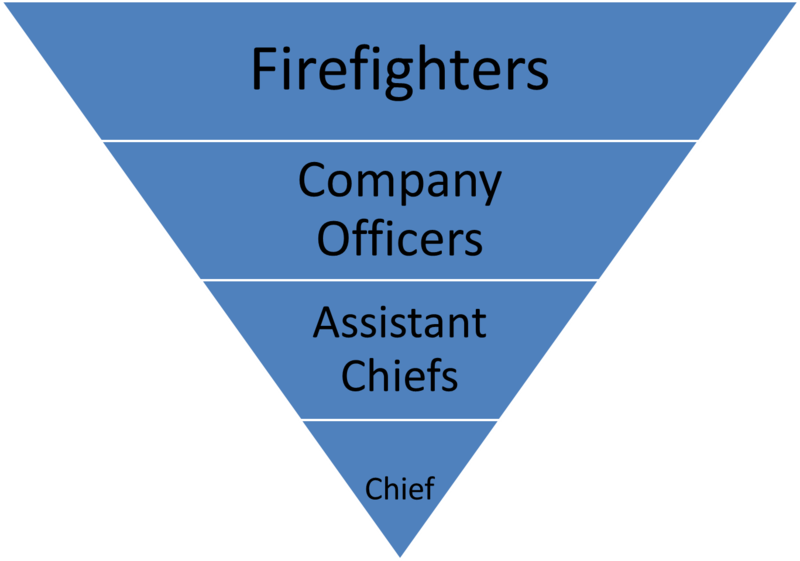 It’s even taught to new recruits that the fire department is run like a pyramid with the chief at the top. The problems that I see; without firefighters to lead, who needs a fire chief? Even the circus needs a ring leader! I’m saying this because the fire service has it all wrong! The most important people of the department are not the fire chiefs, but the men and women who serve under their command. Let me say this again….Chiefs take note! YOU ARE NOT THE MOST IMPORTANT, YOUR PEOPLE ARE! 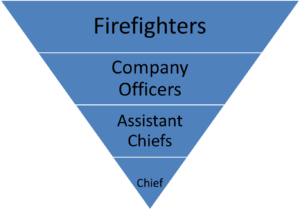 The pyramid should be flipped upside down with the firefighters at the top. The goal for any company officer or chief should be to take care of the firefighters ABOVE them. Did you catch that I said ABOVE? This is because their needs come before yours, they are above you! You should make sure they have everything they need to be successful on the fire scene or at the fire house. Train them, listen to them, lead them, or get out of the way. 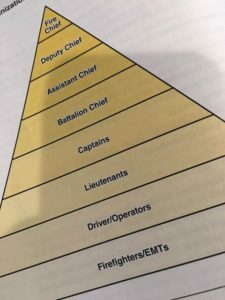 The reverse pyramid idea has nothing to do with chain of command, questioning authority, or causing anarchy within the department. The reason for the idea is to let those in charge know that your needs come after their needs! Servant leadership!!!!! Take care of your people and they will take care of you!